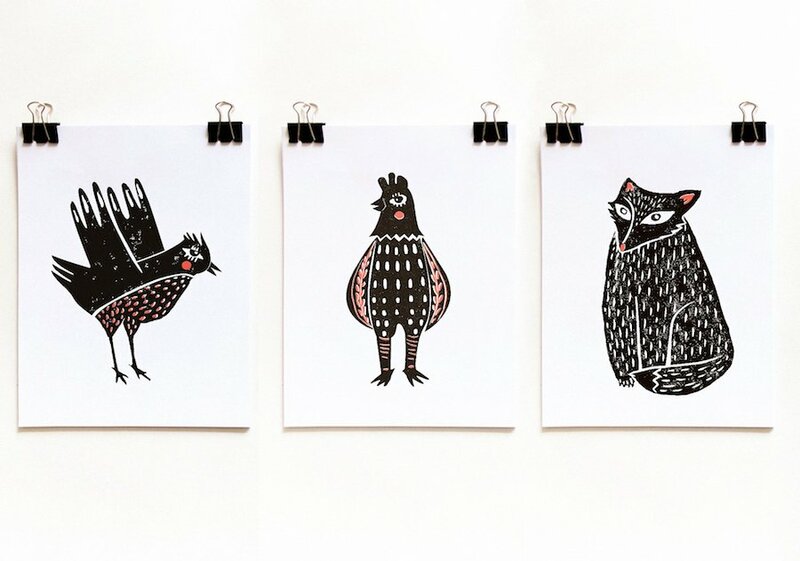 This cute animals were made by real linocut technique which gives great texture and unusual lines. Also the illustrations remind us some old fairy tales. 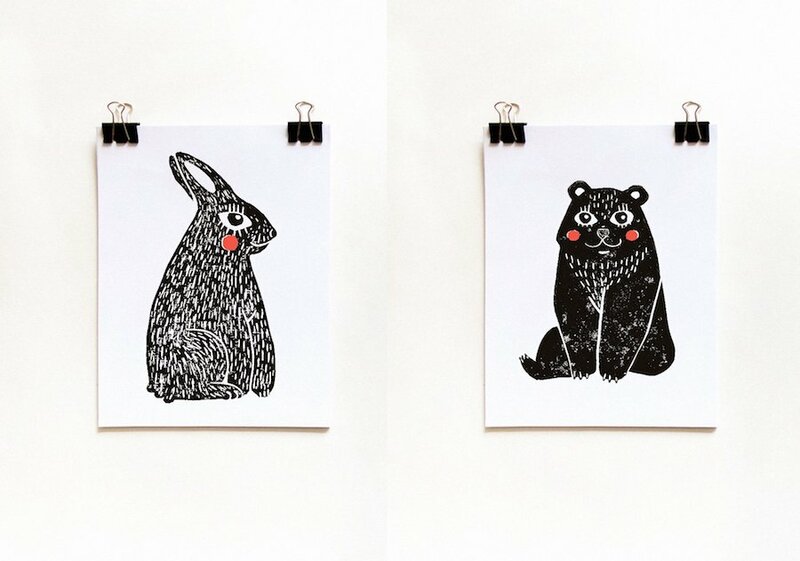 This cute animals were made by real linocut technique. This unique technique gives great texture and unusual lines. Also the illustrations look vintage and remind us some old fairy tales. All animals have a textured look and can be used to decorate your print designs: cards, wrapping paper, textile: t-shirts, towels, cushions, as well as web designs: blogs, banners, backgrounds, etc.